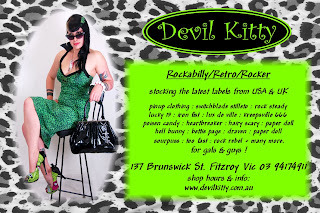 We have finally launched our online shop www.devilkitty.com.au, keep cheking back, more stock will be added every couple of weeks, happy shopping ! Devil Kitty is now open every Sunday from 12noon to 5pm. 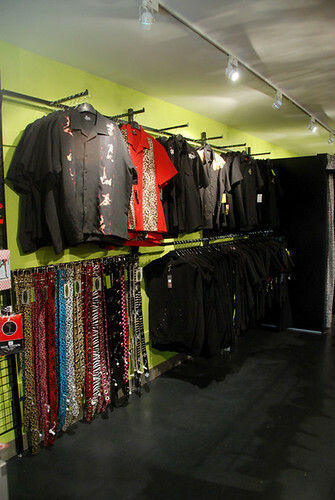 Devil Kitty will be launching an online store early in 2010. So all you interstate fans will be able to buy the latest styles online and have them shipped directly to your door ! Devil Kitty will be OPEN Sundays in December. After a successful year of trading, devil kitty has extended its range of labels. The first look inside Devil Kitty before its launch at 12pm today!